Well, the other Night proved that despite it being Winter, some Hedgehogs are still out and about. And being as the Weather is not that cold at the moment, they are taking a chance to look for extra food. 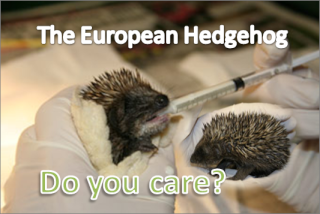 So remember, please feed the Hedgehogs in YOUR Garden, as they need food now more than ever.